Vaccinations have been used safely for decades to protect children from diseases such as smallpox, measles, mumps, diphtheria, tetanus and polio. Even so, misinformation about childhood vaccines is widespread, causing some parents to delay or avoid vaccines out of fear they may harm their children. Here are five common myths about vaccines for kids and the real story about their safety. Myth 1: The MMR vaccine causes autism. Autism is a genetic disorder, and this myth arose from a now infamous study published in 1998. The poorly designed study found that 8 of 12 children studied who had received the MMR vaccine displayed autistic behaviors. As no subsequent studies showed similar results, the study was retracted and the author had his medical license revoked for professional misconduct. Myth 2: Vaccines can make you sick. You may hear someone say, “I got the flu shot and I got sick.” No vaccine is perfect, and simply getting the vaccine does not mean you cannot become infected, but simply that your likelihood is reduced. A common analogy is the seat belt in your car; you may still get in an accident, but the best protection is still advisable. Additionally, it is always easier to remember the year that you got the flu after getting the flu shot than the many years you may not have become ill. Some people think that because vaccinations contain traces of viruses or bacteria they can cause the diseases they’re supposed to prevent. Fortunately, vaccines contain dead or inactivated viruses or bacteria, designed to prompt an immune response without causing illness. Vaccines can’t make you ill, but some people may have mild reactions to them, such as soreness at the injection site or flu-like symptoms after getting a flu shot. Myth 3: Vaccines contain harmful chemicals. Many ingredients in vaccines have been pointed to as “toxic,” including mercury, formaldehyde, and aluminum. Mercury is indeed a dangerous substance but is only contained in some multidose influenza vaccines presently. Thimerosal, the source of mercury, is in a miniscule amount and in a form that does not build up in the body. Formaldehyde and aluminum are also contained in very low levels, far less than the body sees through other environmental sources. As an example, there is many times more formaldehyde exposure when eating a single pear than in receiving any vaccine. Myth 4: You should space out childhood vaccines. The CDC recommends a vaccination schedule for children (see the end of this article), but some parents worry that having so many vaccines may overwhelm their children’s immune systems. Of course, children and adults are exposed to many more foreign substances through the environment around us, and the immune system does not struggle with these. The challenge with spacing or delaying vaccines is multifold. First, it prolongs the delay until immunity develops to infections that can affect children of any age. Second, it can cause difficulty with daycare, preschool, or kindergarten entry if vaccines are not given on time. Thirdly, if children must come to the office for vaccine catch-up or spaced-out vaccine schedules, they will receive a painful experience many more times than if they are kept on the recommended schedule. 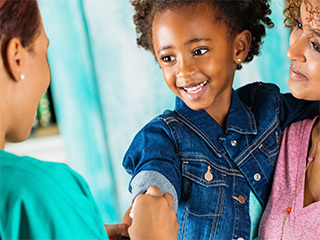 The schedule recommended by the CDC, the American Academy of Pediatrics and the American Academy of Family Practice is continually tested and adjusted to best protect children. Myth 5: Other people have vaccinated their kids, so I don’t have to. Many people are current on their vaccinations, providing some protection to the people around them, but not everyone is up to date. If there is a disease outbreak, such as the flu, those who aren’t vaccinated are more likely to get sick. So, you can’t count on other people’s immunity to protect your children. The bottom line is childhood vaccinations have proven to be safe and effective over many years. Don’t listen to misinformed talk; if you have concerns, ask your doctor. Click here for CDC’s Schedule of Recommended Vaccines for Children Ages 0-6. 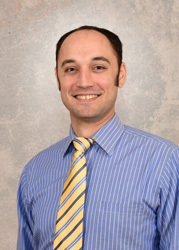 Dr. Daniel Lamphier attended George Washington University, School of Medicine & Health Sciences, and is certified by the American Board of Family Medicine. He sees patients in MPCP’s Queenstown office.